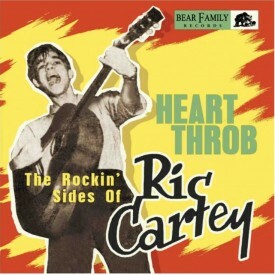 Heart Throb - The Rockin' Side Of - Sleazy Records, S.L. Two versions of Ric Cartey's first recorded composition topped the pop hit parade in early 1957. Ric's own rendition of Young Love, which he'd written with fellow teenager Carole Joyner, wasn't one of them. The honors went instead to country singer Sonny James and neophyte pop crooner Tab Hunter. That didn't stop Cartey from subsequently cutting enough solid rockers for RCA Victor, NRC, and his own El Rico label to fill this 10-incher. Cartey was one of the first young singers on Atlanta's rock and roll scene. Born there on January 18, 1937, Whaley Thomas Cartey found a kindred musical spirit in guitarist Charlie Broome, the two performing locally as a duo. Broome dreamed up the distinctive guitar introduction to Young Love. Ric and Charlie's band, The Jiva-Tones (as their name was spelled on the record label) cut Young Love in 1956. On the other side sat the blistering rocker Oooh-Eeee. Jerry Reed was playing the electric guitar here. RCA acquired Ric's original for national consumption. 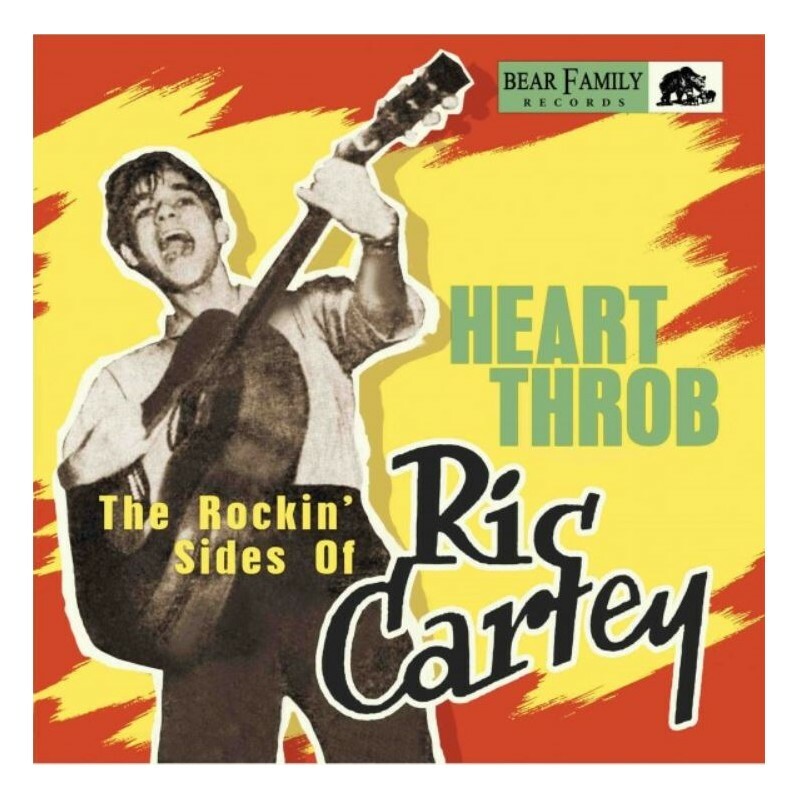 Jerry Reed wrote the highly animated I Wancha To Know as one side of Cartey's encore, returning to supply dazzling acoustic lead guitar. 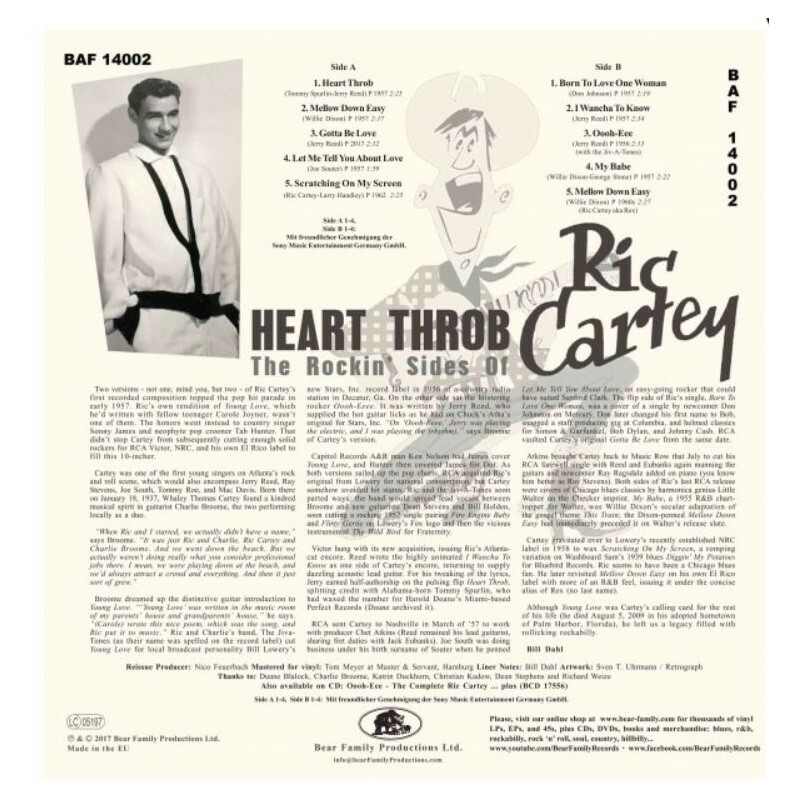 Then RCA sent Cartey to Nashville in March of '57 to work with producer Chet Atkins (Reed remained his lead guitarist, sharing fret duties with Jack Eubanks). Later on, Cartey gravitated over to the recently established NRC label in 1958 to wax Scratching On My Screen, a romping variation on Washboard Sam's 1939 blues Diggin' My Potatoes for Bluebird Records. Ric seems to have been a Chicago blues fan. He later revisited Mellow Down Easy on his own El Rico label with more of an R&B feel, issuing it under the concise alias of Rex (no last name). Although Young Love was Cartey's calling card for the rest of his life (he died August 5, 2009 in his adopted hometown of Palm Harbor, Florida), he left us a legacy filled with rollicking rockabilly.